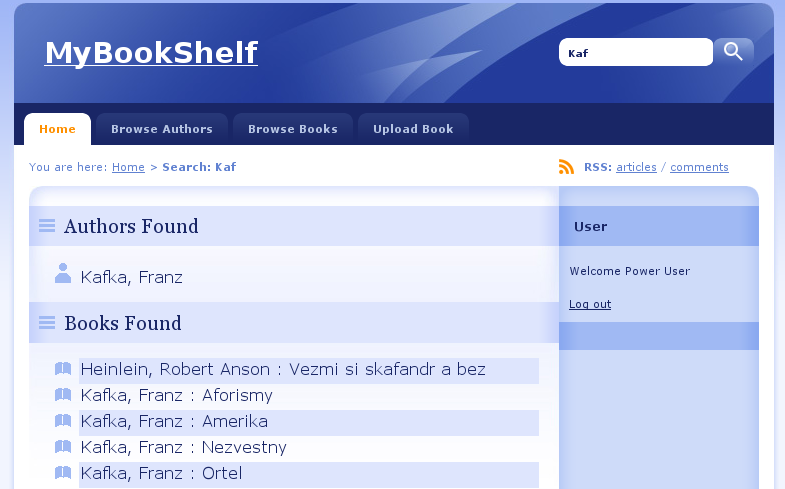 MyBookShelf is a web application for building, presenting and maitaining a collection of e-books. Written in python language and django framework offers great flexibility and extesibility. The application is currently under development - collection browising, searching and maitainiance is basically ready more advanced features to come in future. 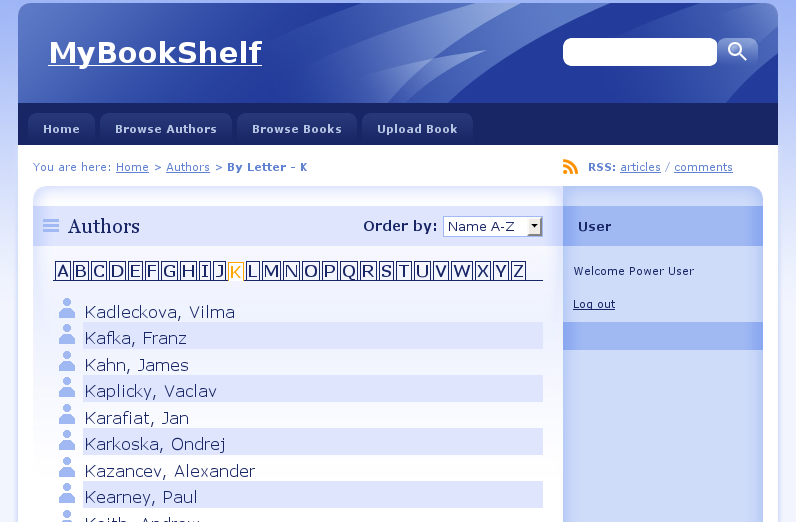 Modern web interface with AJAX features (autocomplete etc). 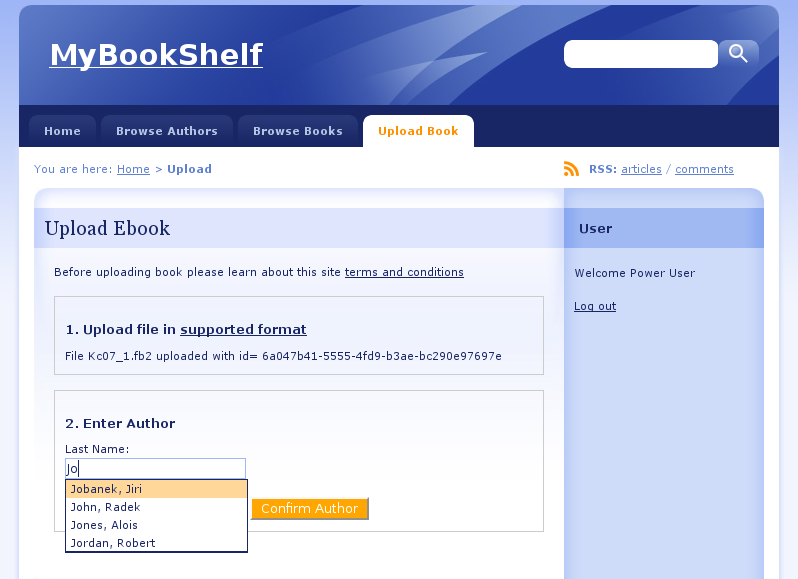 Latest sources could be found here on launchpad.